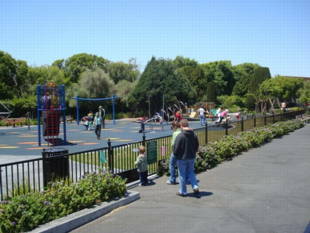 Rossi Playground has two baseball fields and a large grass area, three tennis courts, a full basketball court, an indoor pool, and a play area for children. There are two sections of the playground: one is for older kids and one is for younger tots. 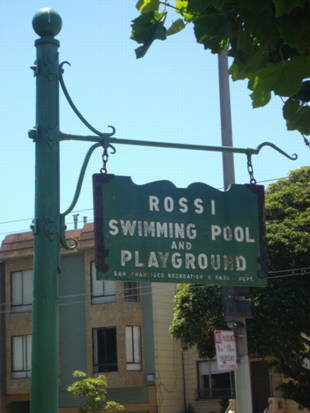 Rossi Playground/Pool is owned by the San Francisco Recreation and Park Department. 31-Balboa -- Arguello Blvd. and Balboa St.
33-Stanyan -- Arguello Blvd. and Turk St. Walk north on Arguello to Edward St., then make a right on Edward. Stay on Arguello until you get near Anza St.
38-Geary -- Geary and Arguello; walk south on Arguello to the park. 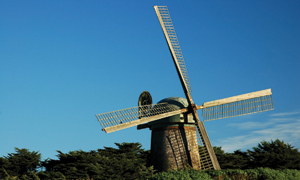 The park was named after Angelo Joseph Rossi, who served as Mayor of San Francisco from 1931 to 1944. 600 Arguello Blvd. and Anza St.